All the stories take place at Star Camp in the Dark Sky Park of Northumbria where groups of teenagers are invited to spend the weekend stargazing and bonding during outward bound activities such as orienteering, obstacle races, and zip wire flights. However, all is not as it seems. 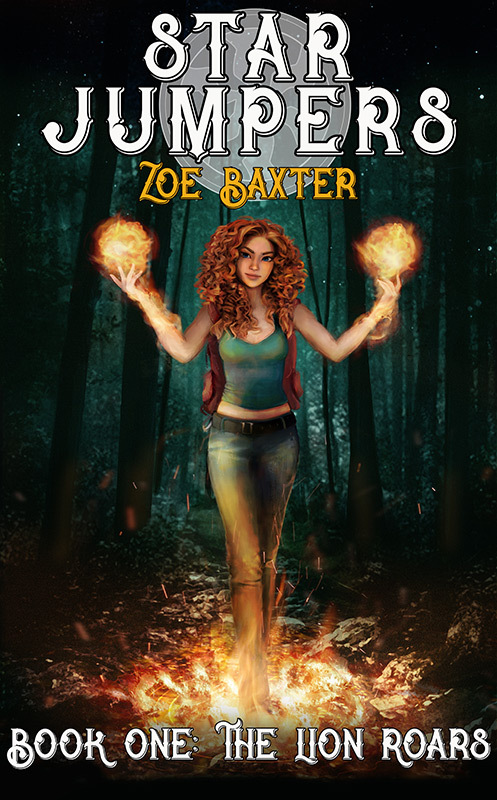 The Lion Roars is the first in the series and follows four teens, Zara, Fergus, Aimie and Oscar. Thrust into the beleaguered world of Hadrixia, they are dispatched on a perilous quest to recover the Stone of Exerith and return it to Max, whom they believe to be the Director of Star Camp. Little do they know that the fate of a whole empire depends on their success. On their journey, the Star Jumpers join forces with quirky Hadrixian teenager, Quinn, and his feisty sister, Sabina, and encounter the kindness of Semyon, an aged wizard potionmaker whose remedies prove to be indispensable. They must also tangle with a procession of vicious creatures such as the horn-headed Warnoks and the venomous web-tailed Tarquids. Perhaps they’ll succumb to the persuasive chants of the fire-loving Brozigs or be mauled to death by the tree-swinging Harnts! Can Zara fulfil the destiny bestowed upon her before the sun sets on the last day of July? Or will the Portwall to the Outside remain sealed, imprisoning the four intrepid teenagers in Hadrixia, consigning them to a future of chaos, destruction, or even death? There’s only one way to find out: Take a flying leap into the perilous world of Hadrixia…. Star Jumpers – Vengeful Earth – Oscar’s story. Star Jumpers – Toxic Storm – Jasmine’s story.